If you run a large facility and chilling or freezing is essential to your operation, you cannot afford downtime. For this reason, you should consider refrigeration system troubleshooting specialists when you have problems. Here are some important reasons to consider experienced professionals at McNeil Industrial, for these services. Suppose you call a service professional and he discovers that you need a new compressor contactor. This job is not difficult or expensive, and it should not take very long to make repairs. However, when your technician checks out the control circuit, compressor, and other components, he may find a worn compressor coupling, and it could be a problem in the future. By replacing this part now, you eliminate a breakdown and the cost of another service call. This is just one important benefit of early detection services. Ammonia refrigeration is different from halocarbon refrigerant systems. 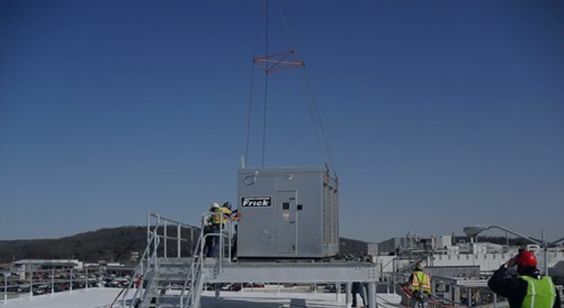 When you have problems, ammonia refrigeration specialists can best serve your needs, because we have the right tools, equipment, and years of experience. At McNeil Industrial, we know that some companies run day and night. If you have a problem at 2:00 am on the weekend, we can be there with professional refrigeration system troubleshooting services. We are a 24-hour company, so you can depend on us when you need us. Don’t take chances with your business. Call your industrial refrigeration specialists at 800-728-6160, and check out the many services we have to offer.